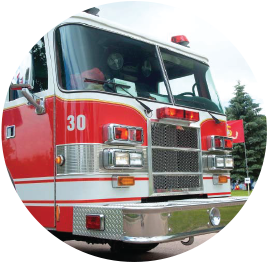 ACFD uses Landport for all on-demand and Preventive Maintenance work orders. The Alameda County Fire Department (ACFD), serves a combined urban and suburban area of roughly 500 square miles. ACFD relied primarily on spreadsheets and primitive bookkeeping methods to track equipment, apparatus, and work orders. Realizing that they could no longer rely on manual methods like voicemail, email, spreadsheets and hard copy work orders, they began a search for technology to increase efficiency, improve the level of service provided to employees and gain better control over their facility management costs. Using Landport’s robust work order management system has given ACFD the ability to significantly improve their facility management operations, setting them apart from similar organizations. Landport enables ACFD to handle more work orders in less time and with lower costs. ACFD personnel are kept apprised of the status of their maintenance requests automatically, which is a major improvement over their previous, ad hoc approach. The result has been much faster and more efficient resolution of facility issues, and employee satisfaction with respect to facility maintenance and repairs has improved dramatically. Landport has completely revolutionized our approach to ACFD facility management. They delivered beyond expectations.